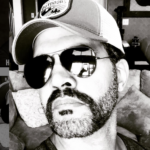 It’s without a doubt that the entire daytime television world is still mourning the loss of one of the most talented actors of the industry: Kristoff St. John. The Young and the Restless star unexpectedly passed away in his Woodland Hills, California home during the early hours of Monday morning. He was just 52 years old. And now his co-stars are opening up about his death, including actor Eric Braden, who plays Victor Newman on the hit CBS soap. He admits that Kristoff’s death has hit him very hard as he is continuing to come to terms with the loss of his dear friend. Our condolences go out to Kristoff’s entire family during this very difficult time. The Young and the Restless airs weekdays on the CBS network. Check your local listings for times. In the meantime, let us know what you think by leaving us a line with your thoughts in our comments section below. And as always, don’t forget to check back with Daily Soap Dish for all the latest news, updates and spoilers on The Young and the Restless and all of your favorite soaps right here. ‘Bold and the Beautiful’ Spoilers: Is Rick Forrester Coming Back? Jacob Young Wants To Comeback To Give Fans What They Want!